Volunteers on the beautiful Caribbean island of St. Martin are working hard to help make sure kid’s have a joyous holiday season. Led by a group named “All About a Smile,” people came together last Wednesday — just before Thanksgiving — at a holiday toy drive to collect over 250 toys for children in need. 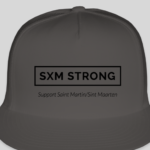 The 2017/18 high season on St. Martin was a painful time for most businesses, as they struggled to overcome the damage caused by hurricanes Irma and Maria. It was a time to refocus, rebuild and rejoice the gift of life. After a full year of rebuilding the “friendly island,” local businesses are ready and waiting for the 2018/19 high season. Many flights that were cancelled a year ago are now back, and there are a lot of hotels and resorts open for business again. 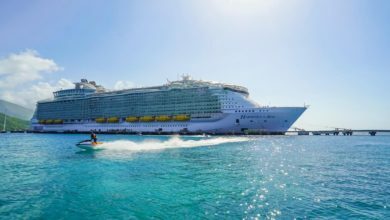 This holiday season is going to see a lot more tourists than last year, for certain. Hopefully, that includes you! As much as things have improved over the last year, there are still a lot of kids and families in dire straights. The struggles of many families on the island have existed long before the 2017 hurricane season, but Irma made things that much more difficult for people that had already been living day to day. 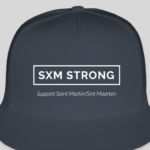 A big positive from Irma is that it brought people together on St. Martin like never before. 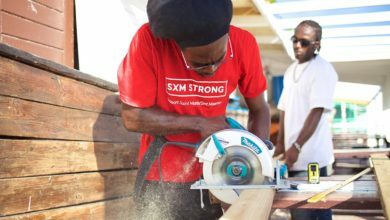 Volunteer organizations were created, people started working together, and the entire community on the island helped to pick each other up from an otherwise devastating time. It was a time of unification for the people who say, “I from here.” And from an outsiders perspective — like me — it was a beautiful thing to witness. 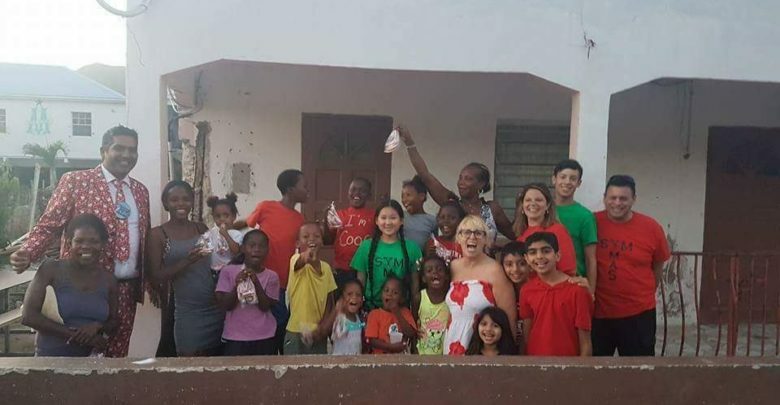 Even though a lot has improved on the island, there are still a whole lot of kids and families in need. Tourists like me used to visit the island and drive through poor areas so we could get to the beach or our resort. 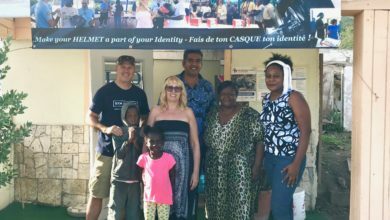 Now, tourists are coming to the island and helping those same people who live in those poor areas. 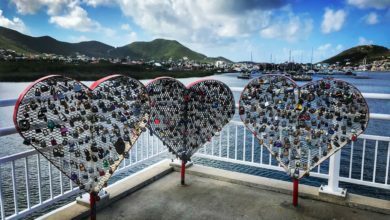 The beauty of human nature remains on full display on St. Martin thanks to the awareness that was created after Irma. All About a Smile continues to collect toys and donations that will be used to support families and children in need on the island. There are a lot of ways to give, and that giving really makes a huge difference to those struggling to survive on this tiny island. 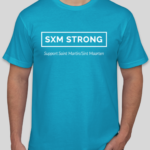 Click here to donate to All About a Smile or visit their Facebook page. 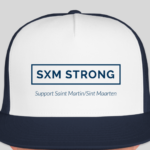 Or show your support for the island with an SXM Strong t-shirt or trucker hat like these below. 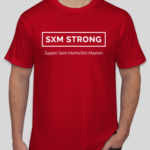 All proceeds raised go directly to assist families and children in need.